CMP: How did you get into the broker space? 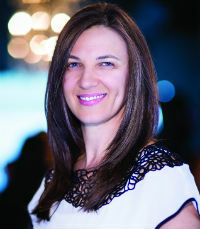 Sarah Makhomet: I used to work on Bay Street at an investment firm, but I always knew that I wanted to work for myself, and I really saw a need in the mortgage industry – most people need a mortgage at least once in their lifetime. So far, my experiences in the industry have been excellent. There have been times when I thought, ‘What did I get myself into?,’ but that happens in any business. Most of the time I’ve been really, really happy with my clients and the agents in our office. It’s been a wonderful experience, and I’ve learned a lot, so it’s great from that standpoint. CMP: Has partnering with Dominion Lending Centres been beneficial? SM: Yes, it has. The brand is great, and I’ve never had to walk into someone’s home and explain who I am – that really helps. The support from DLC has been fantastic. Overall, it’s been very good. I also have a partner, Jonathan Tillger, and he’s been wonderful too. It’s been great being a part of the DLC family. CMP: What’s the secret behind your success? SM: I tell people all the time that simply being there – being able to answer calls, being available to meet clients and being responsive – that’s what differentiates people who are successful from those who are not. I don’t think it’s very difficult to be a mortgage broker, but you do have to be super smart, and you have to get out there to build a network. In the first few years of doing this, 90% of my time was spent on marketing and building relationships. Being able to follow up with clients right away is just as important, because when clients call you, they expect you to get back to them. If you don’t, they may go to someone else. Speed of response is key. CMP: What trends have you noticed in the broker space? SM: Tightening of regulations has been the big thing that I’ve noticed. In 2008, we used to do 40-year amortizations with 0% down, and obviously those days are gone. It’s made it a lot more difficult for some people to qualify for mortgages or qualify for as much as they may want. You have to be on top of the regulations because we see so many changes. We see lenders who are constantly changing their own policies and guidelines. These days you really have to know your products and be on top of lender products. It’s been a great learning experience. CMP: How can brokers keep up with these rapid changes? SM: You have to read up on stuff and attend lender meetings to get to know their products because they’re constantly changing. We get so many emails every day from lenders with policy updates and guideline changes. There is also so much happening with Brexit: How is this going to impact Canadian markets? A lot of investors in Canada are foreign, so you need to have the ability to understand what’s happening globally and how it’s going impact the Canadian market. That’s one of the things that every broker has to do. I wake up every morning and say, ‘What is happening in financial services; where are the stock markets at?’ Even if you’re not a stockbroker, you still must know what’s going on. CMP: What do you get up to in your spare time? SM: Well, I’ve got a 10-month-old baby, so all of my spare time is spent looking after him! It’s been one of the best ‘hobbies’ you could have – it’s exhausting but incredibly rewarding, and I wouldn’t trade it for anything else in the world. My time is either spent working or with him; there’s nothing much else in between.